The Backyard Bash Is Back! Party with Bloodshot and Pandora in Nashville on September 15th! We had a real good and rowdy time last year at our first-ever AmericanaFest shindig, so why wouldn't we do it again? Join us on September 15th, 2017 for the second annual Backyard Bash Presented by Bloodshot Records and Pandora! It's free and open to the public, all ages. No badge or wristband required. 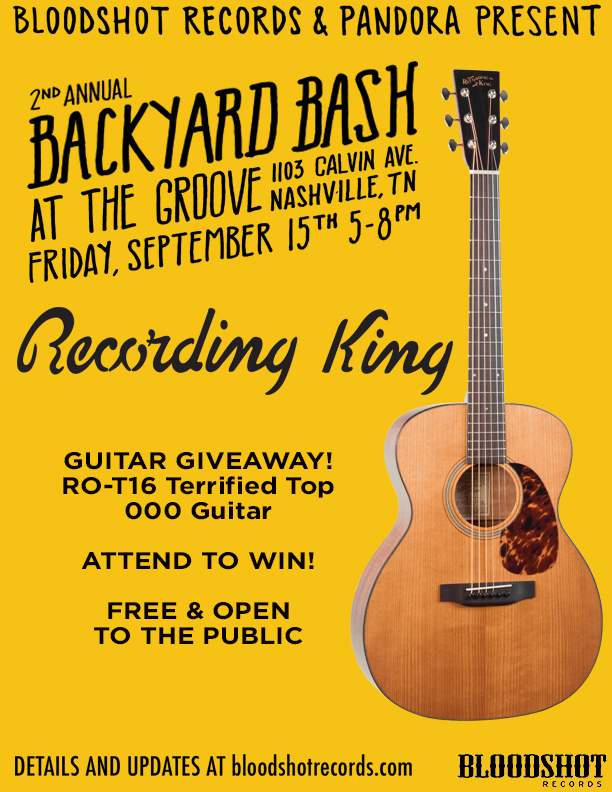 Just mosey on up to the backyard at The Groove record store in the heart of East Nashville and catch perfomances by Jon Langford, Cory Branan, Sarah Shook & the Disarmers, and Ruby Boots, plus giveaways, grub, beer from our forever-friends at Lagunitas, and more. 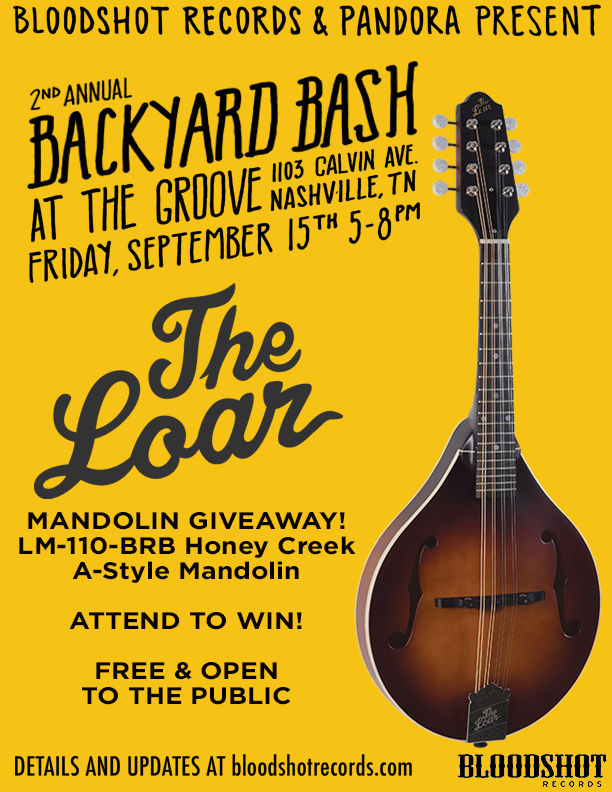 You could even win a free guitar or mandolin (really!) from Recording King and The Loar. If you've ever been to our legendary parties at Yard Dog during SXSW, this is its Nashville cousin. Why: Because we're all gonna be in Nashville! Why not throw a free party for our fans and friends!